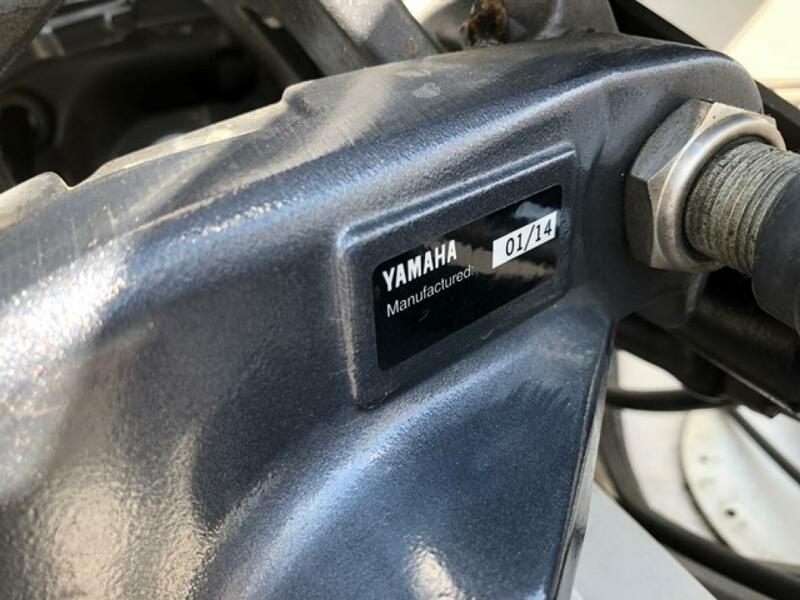 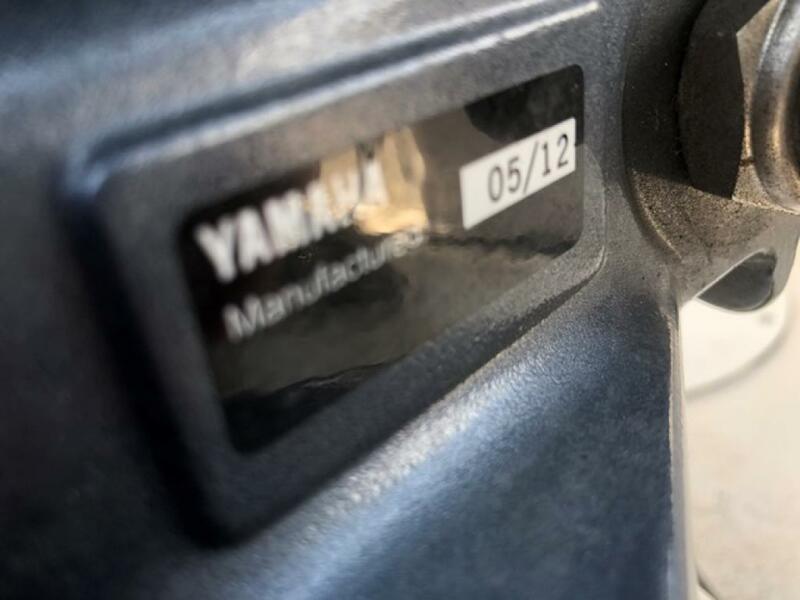 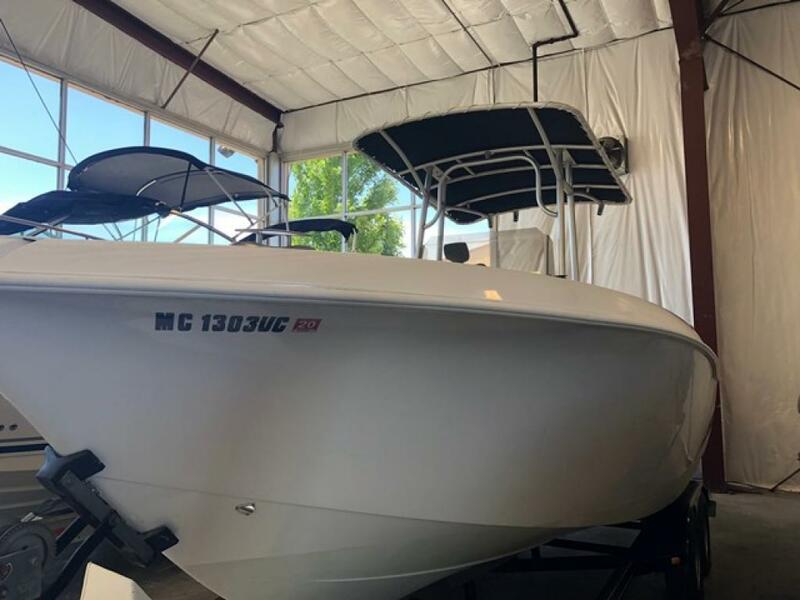 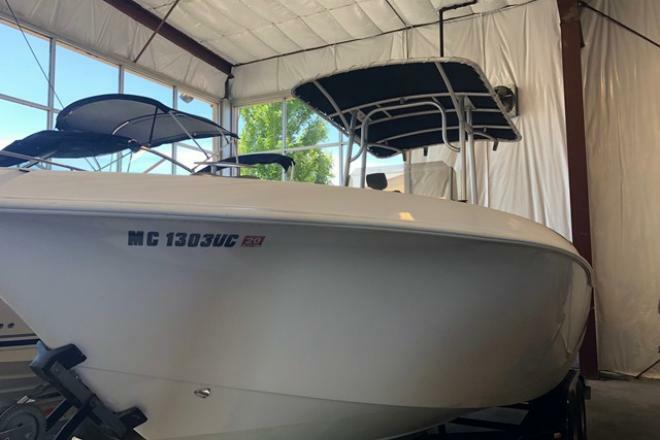 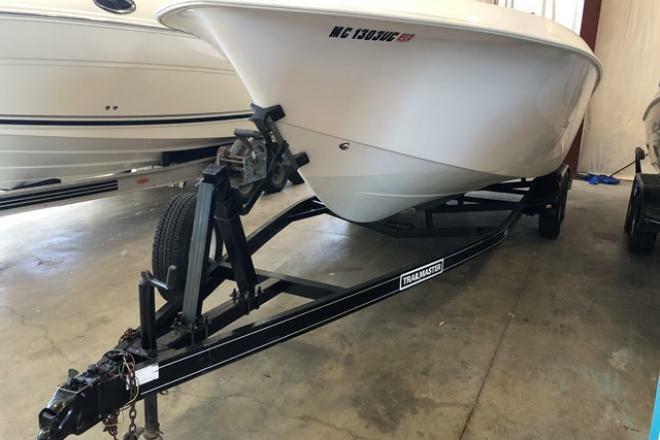 Great value in a Center Counsel on a trailer with recently replaced 115 four stoke Yamaha engines. 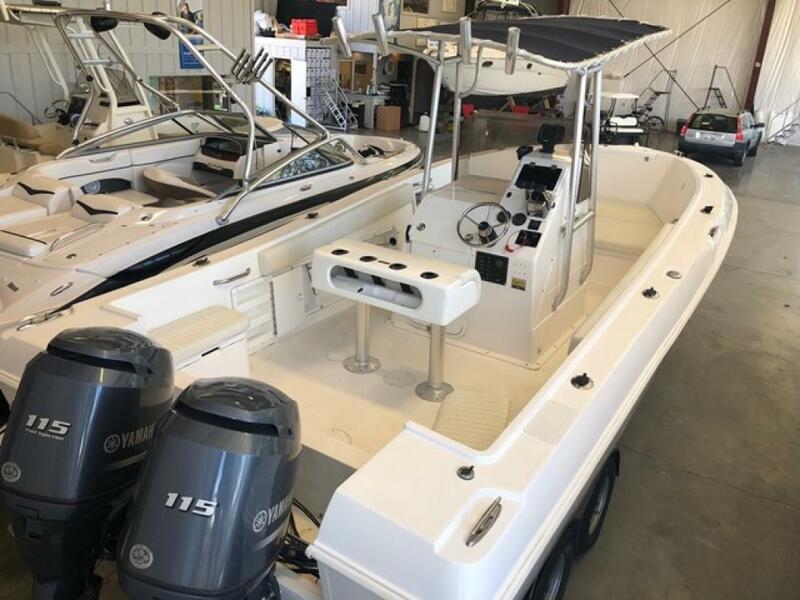 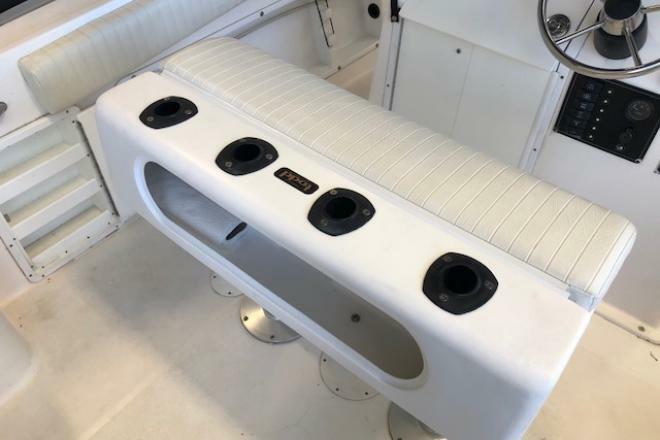 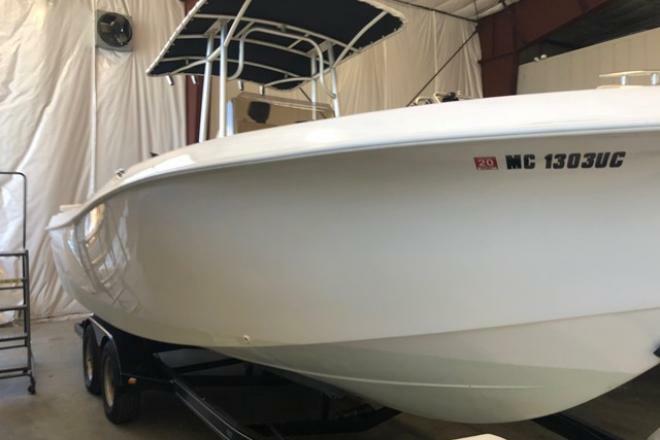 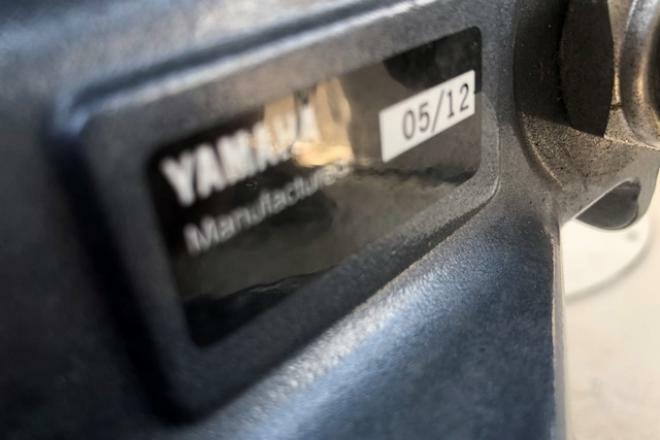 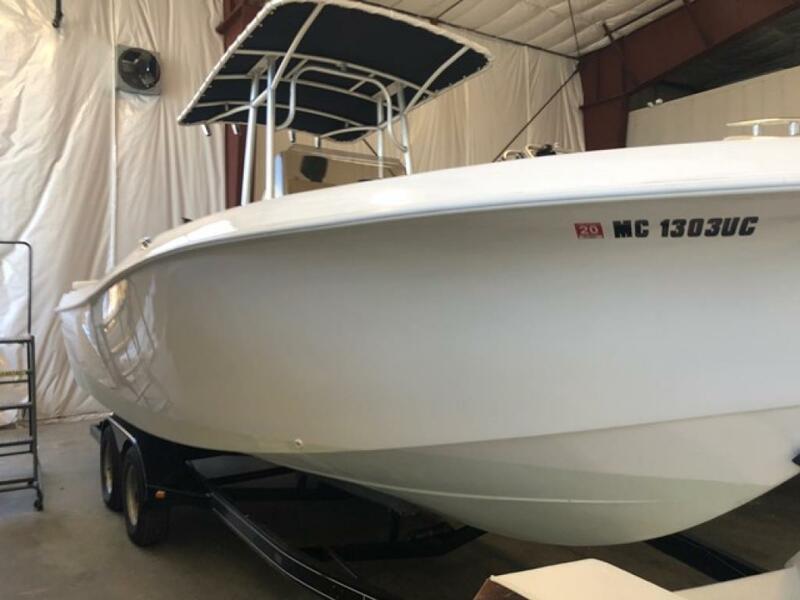 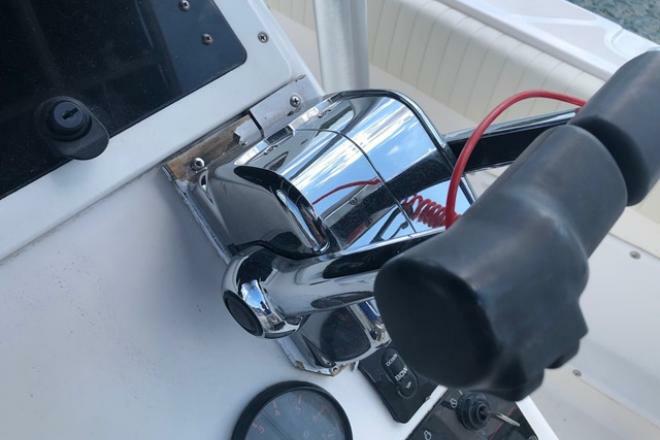 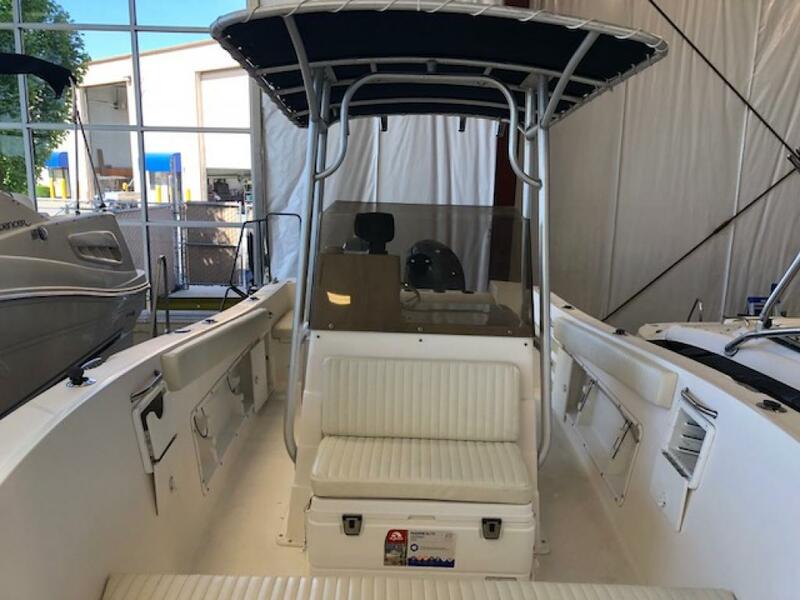 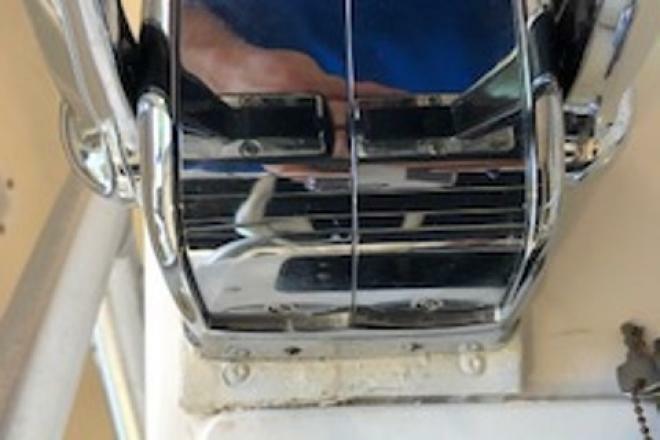 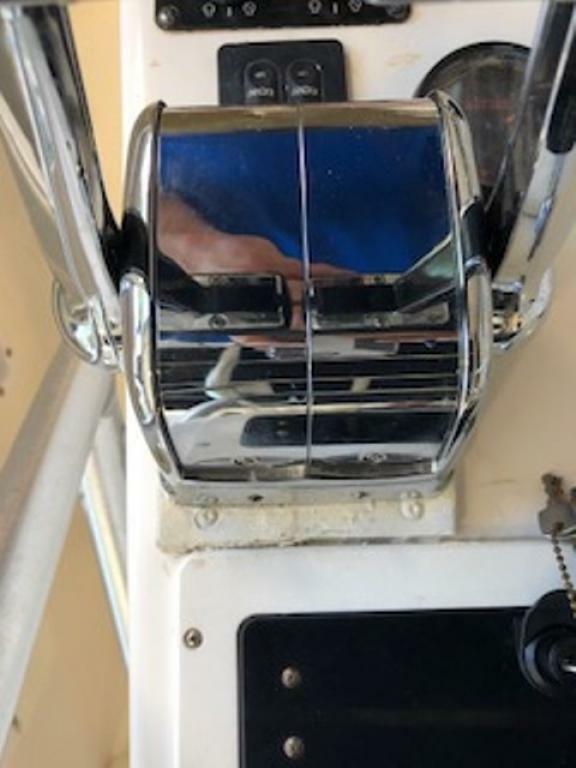 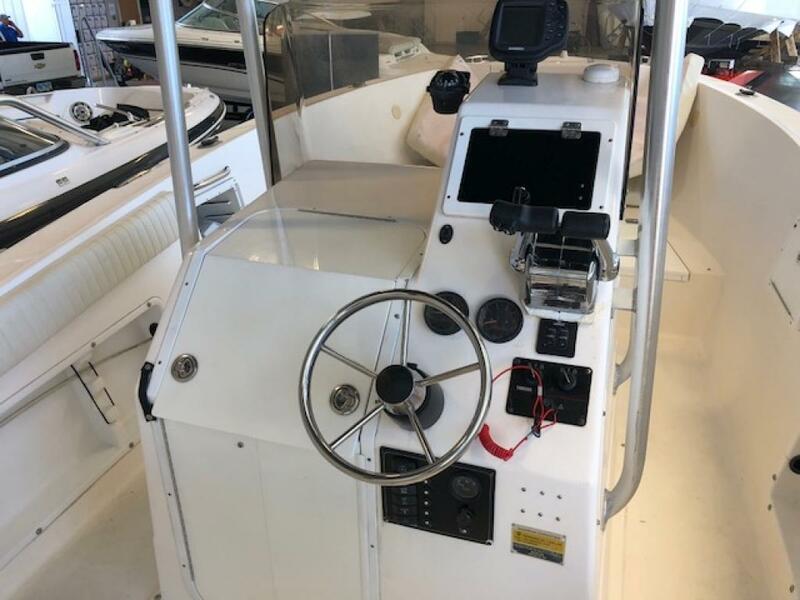 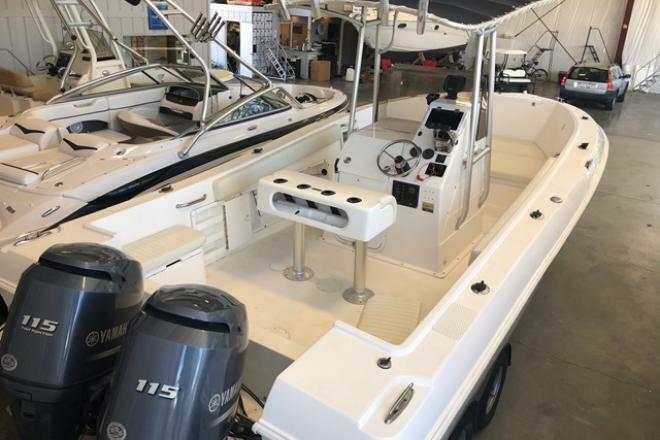 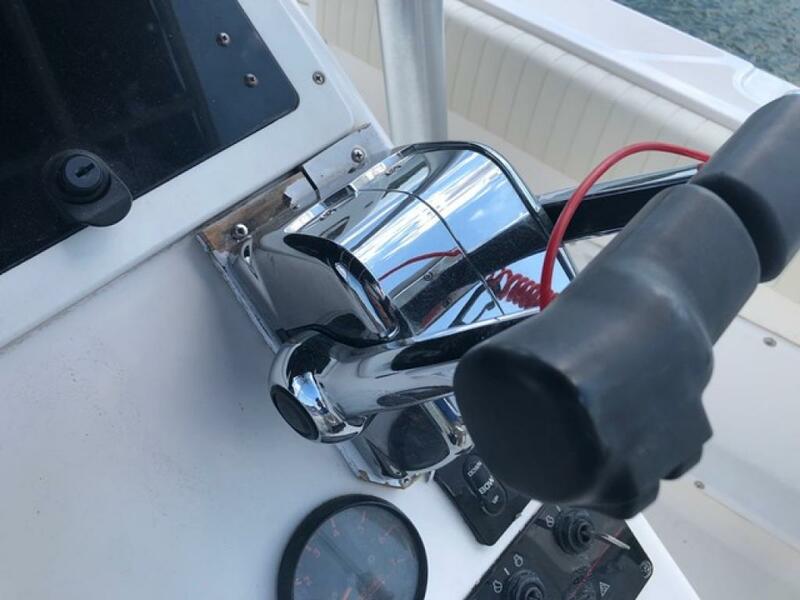 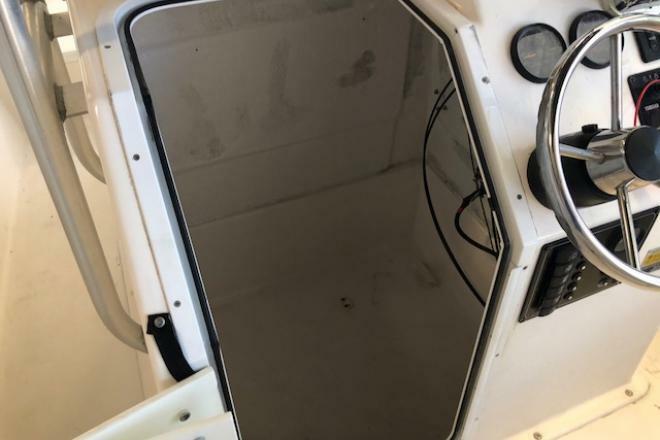 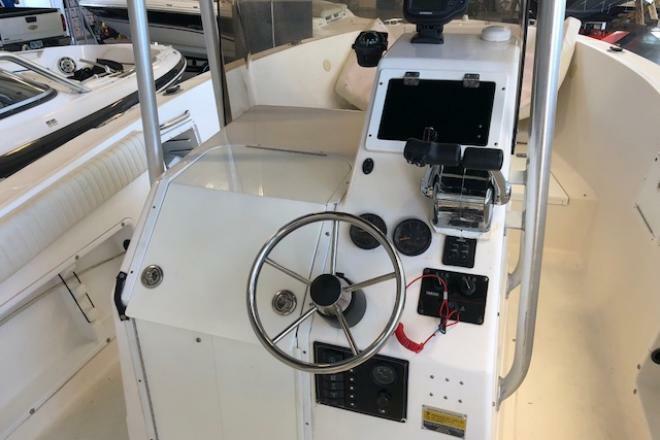 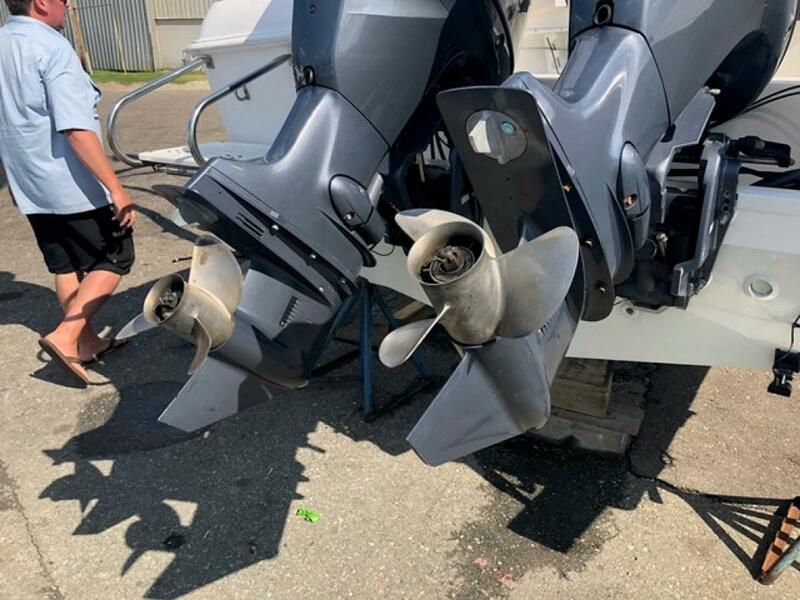 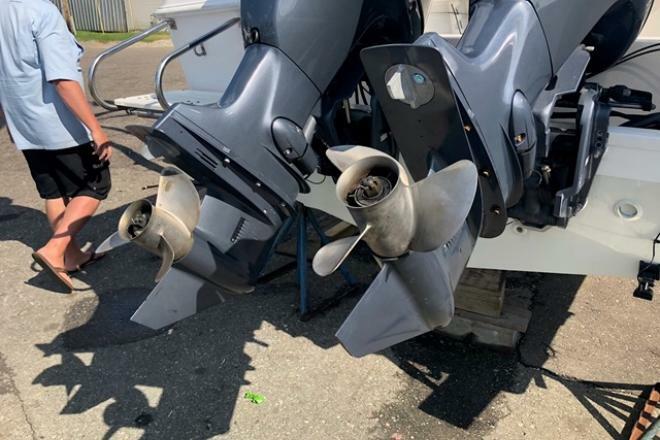 Starboard engine has 2 hours, and factory warranty expires on 6/15/2019. 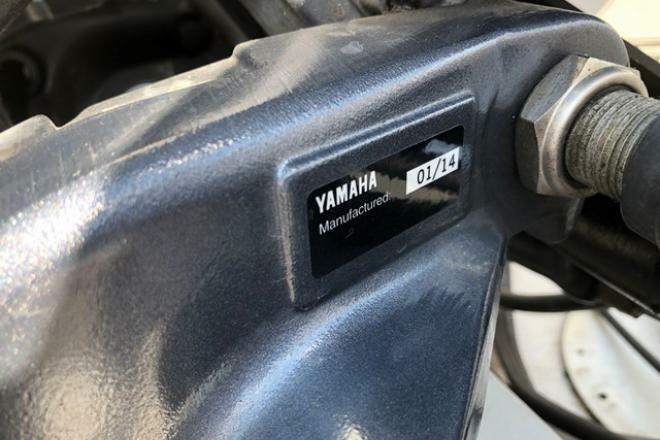 Port engine has 150 hours, and factory warranty expires 8/1/2018. 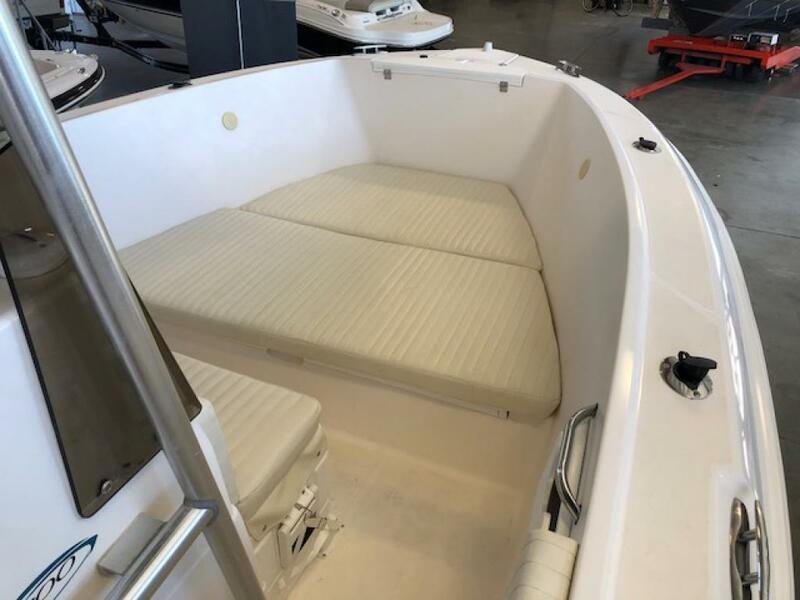 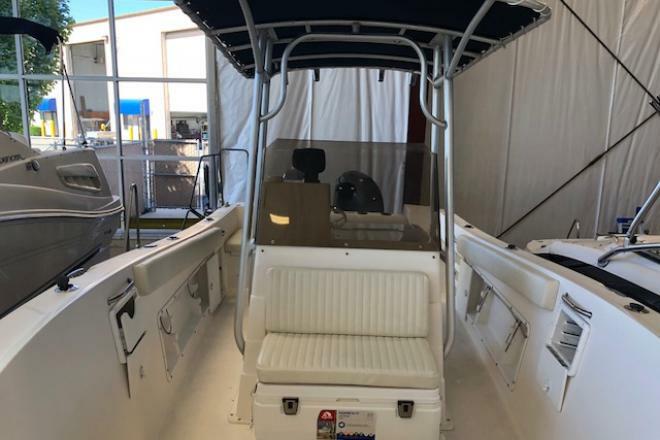 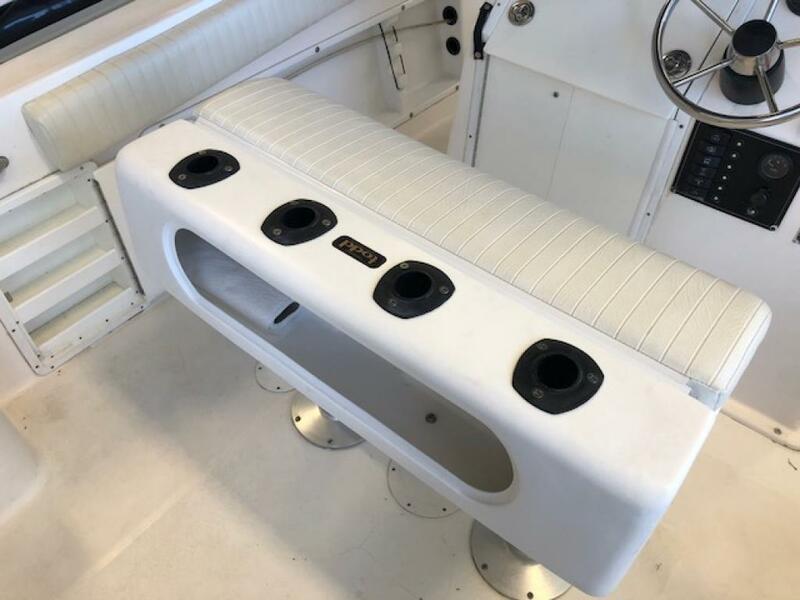 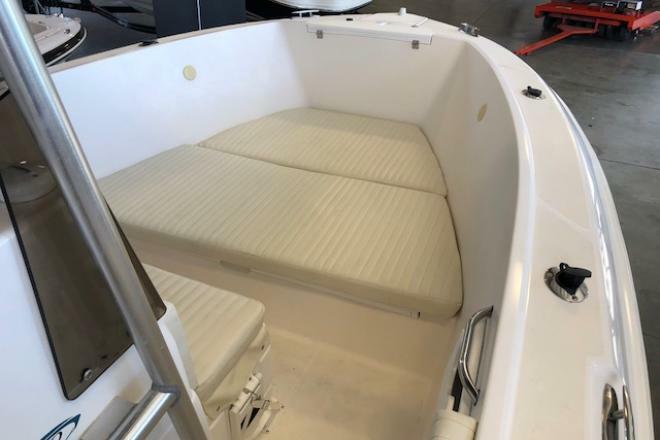 There is fresh AwlGrip on the hull and gunnels, new bottom paint and rub rails, and all new upholstery from bow to stern. 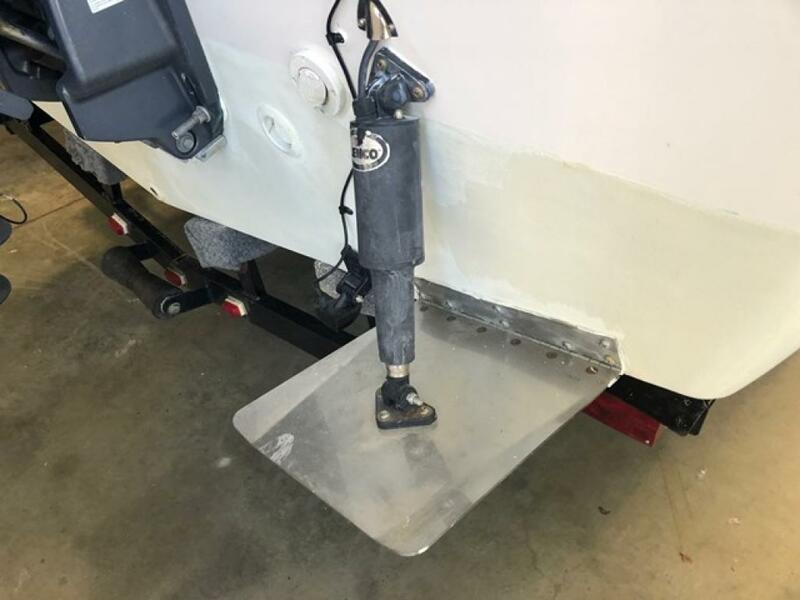 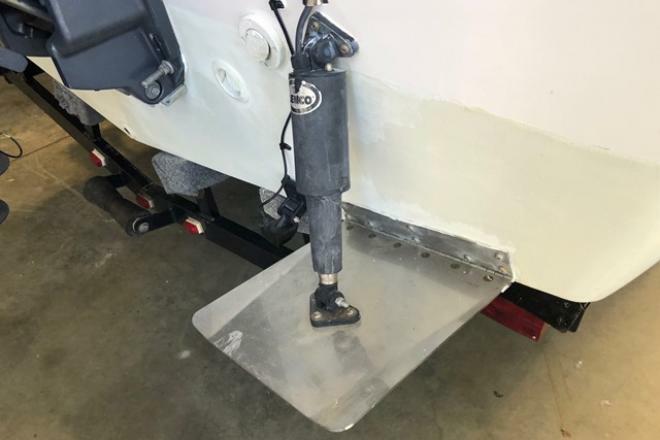 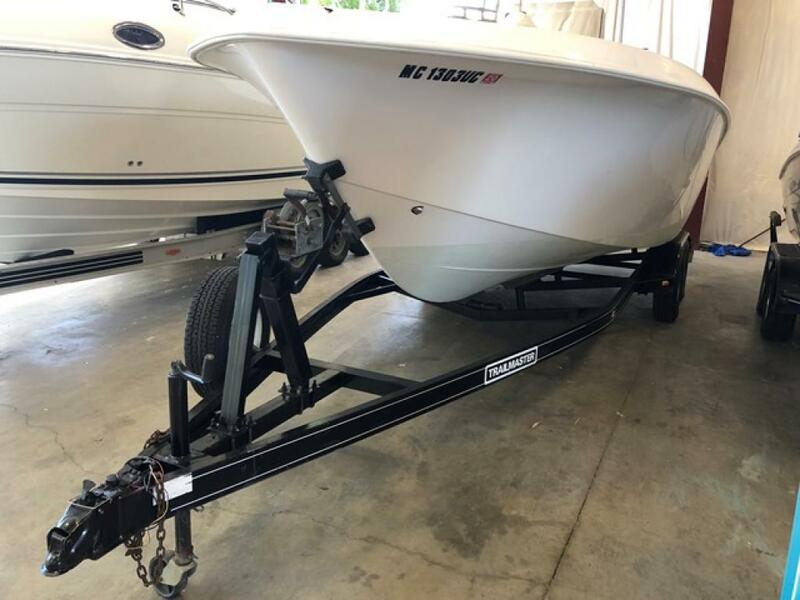 This boat has a wide 9'6" beam for great riding and stability. 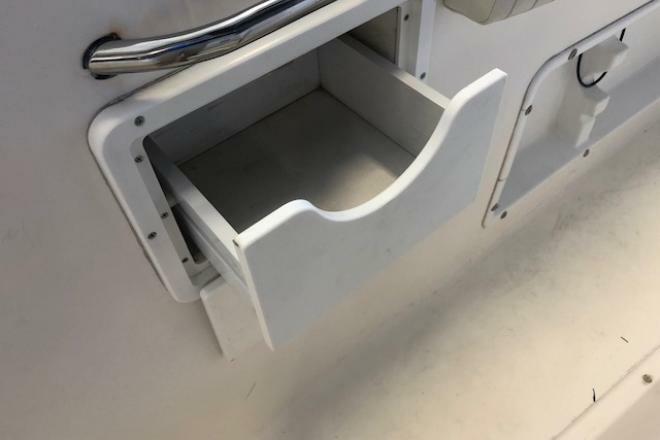 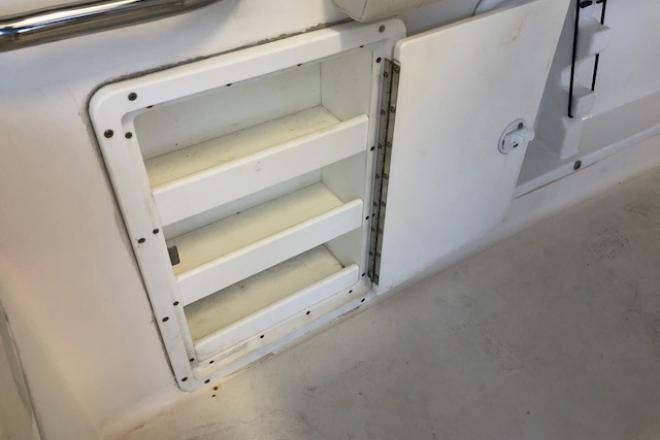 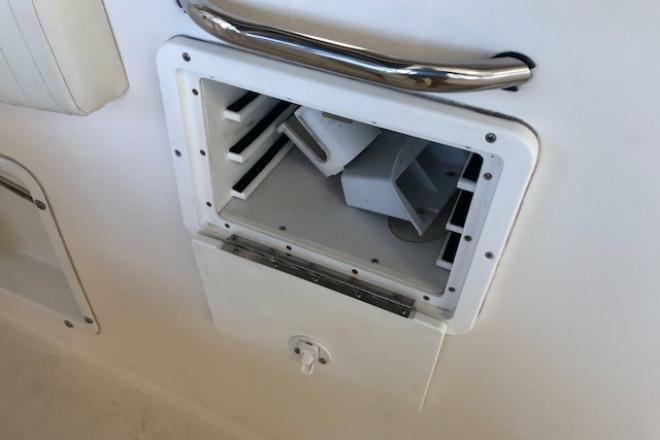 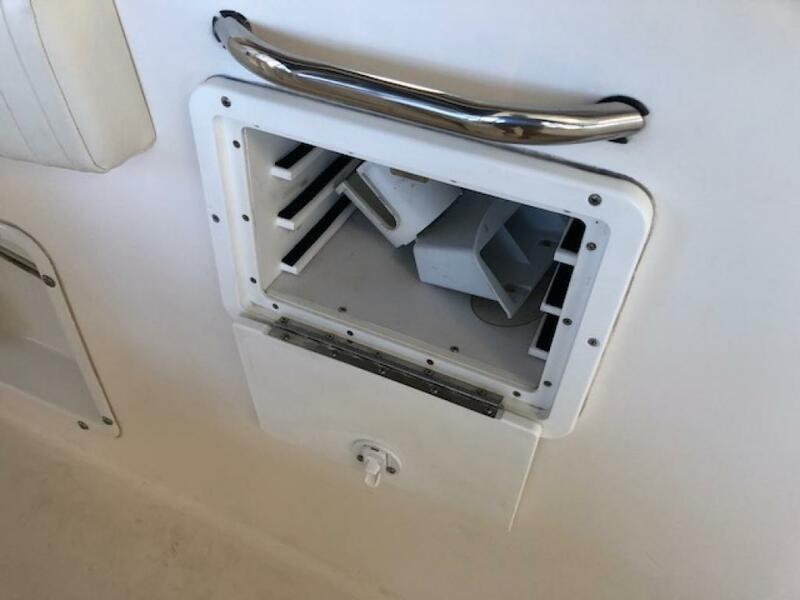 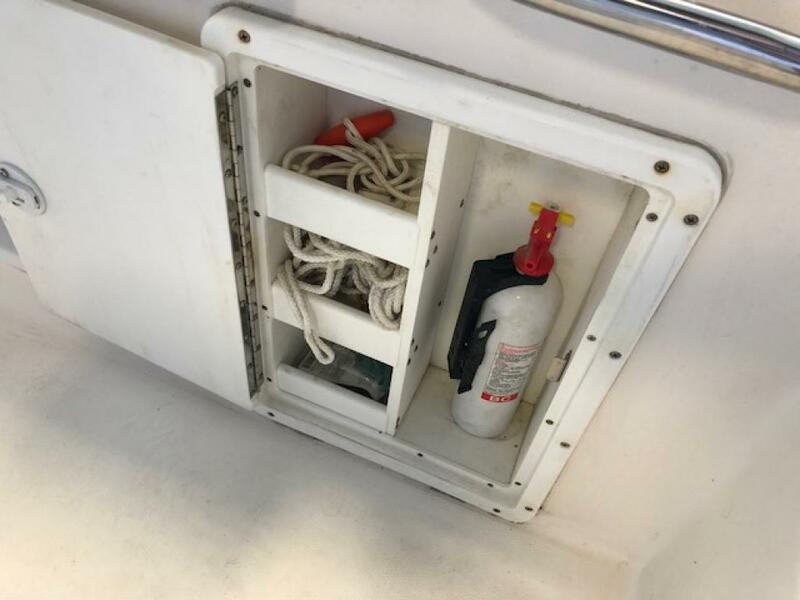 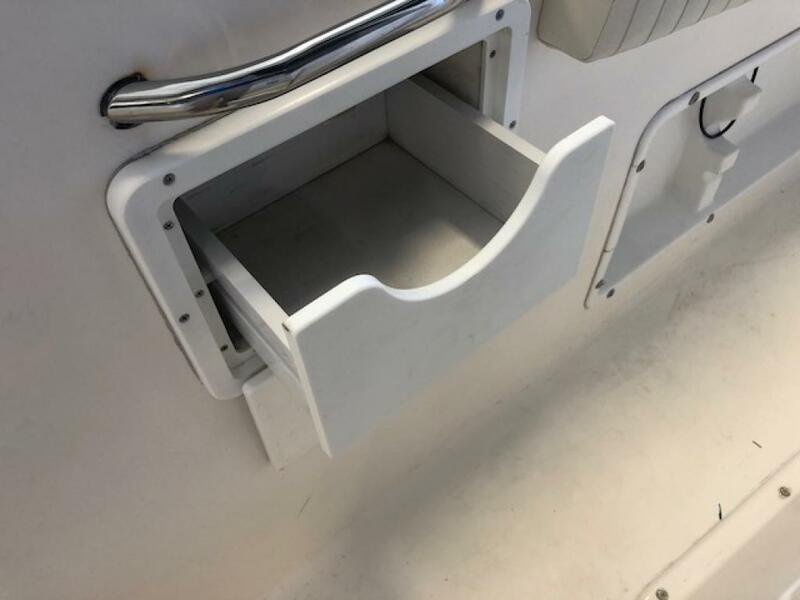 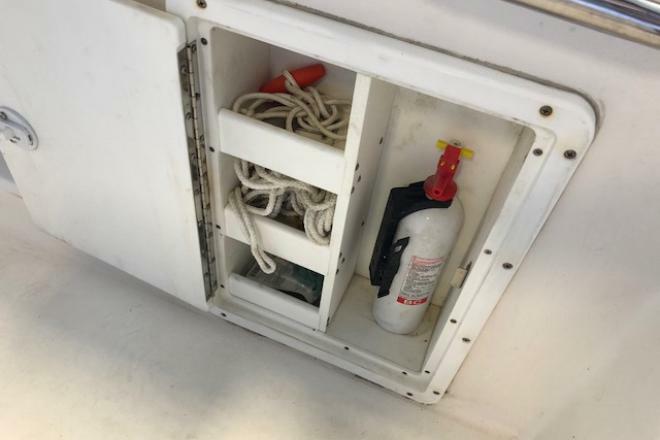 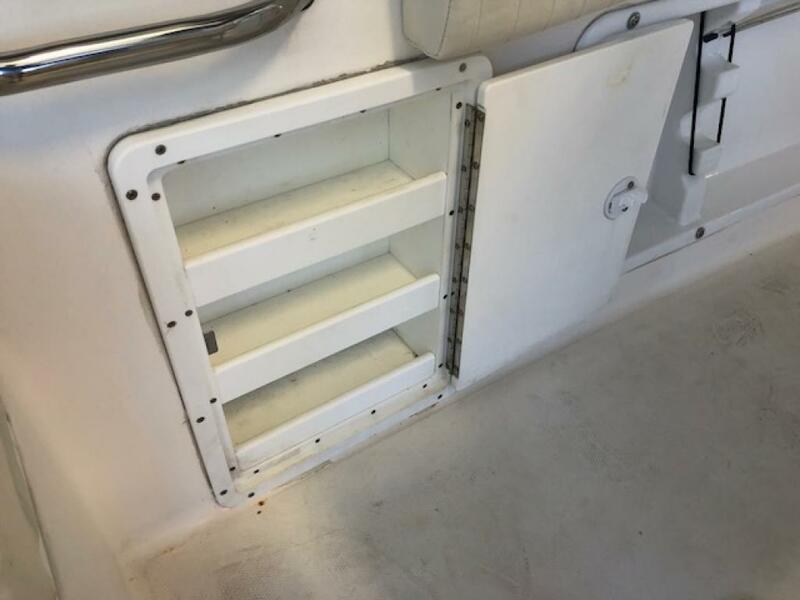 Plenty of storage for tackle and gear, and even more room for a port-a-potty under the console. 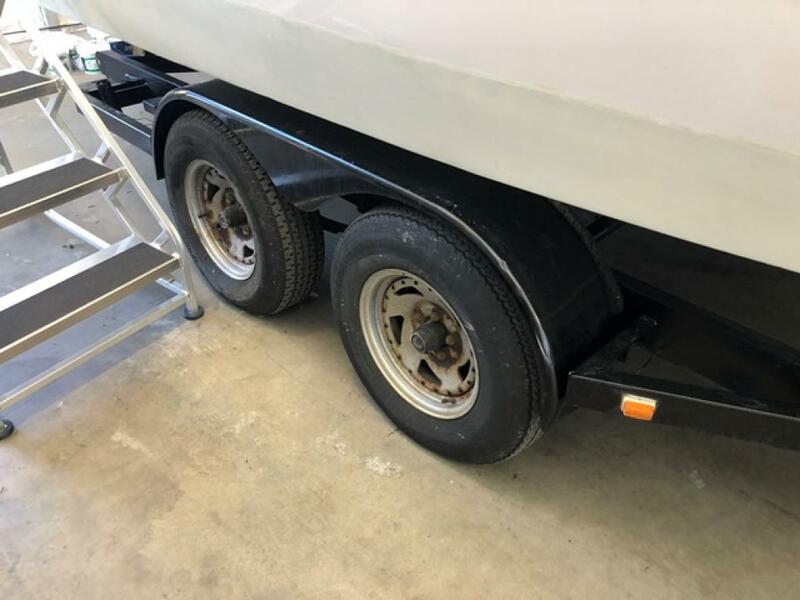 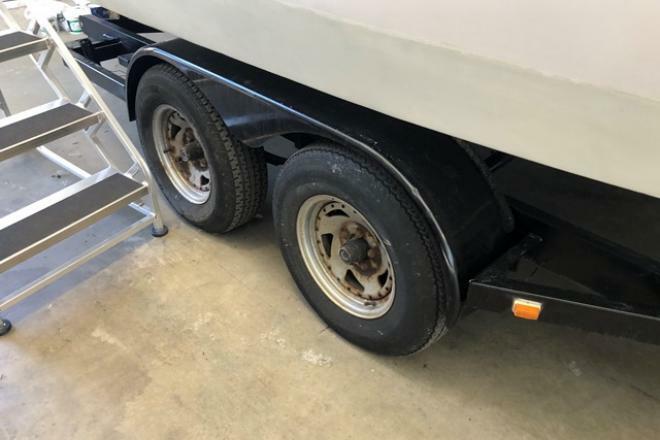 Call for more history and details on this boat and trailer package.